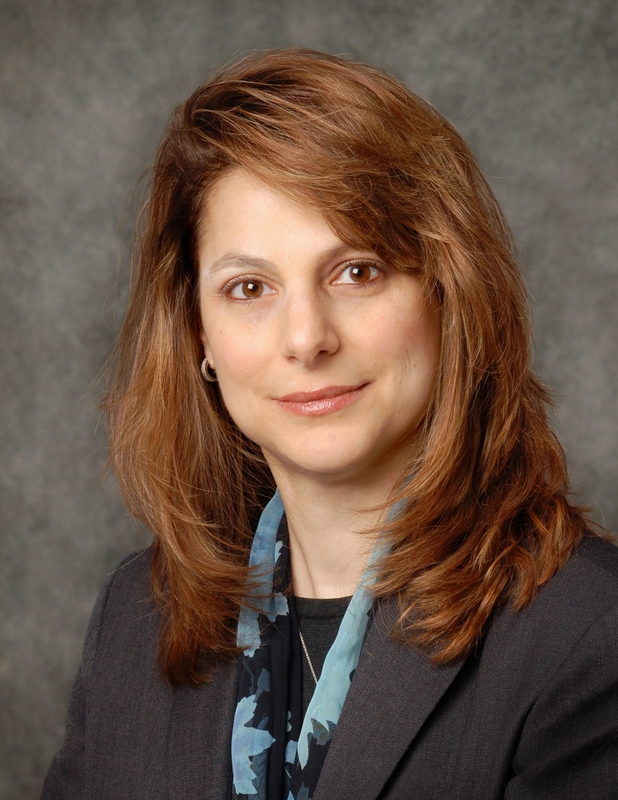 Nicole D. Galli is the founder and Managing Partner of the Law Offices of N.D. Galli LLC, a business litigation and intellectual property law firm with offices in Philadelphia and New York. She is also the founder and President of Women Owned Law (WOL), the first national networking organization dedicated to empowering and supporting women entrepreneurs in the law. Nicole is a frequent speaker, author and thought leader on issues impacting women attorneys and entrepreneurs. She also serves on multiple boards and committees serving the needs of women in the legal and business communities locally and nationally. This past year, Nicole was selected as one of the Philadelphia Business Journal’s Women of Distinction for being one of the most influential businesswomen in the region. A native New Yorker, Nicole now calls Philadelphia her home where she lives with her husband, two children, two cats and an 18 month-old Labrador. Education was very important to my family. My grandparents, none of whom when to college, made sure their children not only went to college, but my parents and uncle also went to grad school. My parents became middle and high school teachers (and my uncle became a physics professor). As an only child, I did everything with my parents, including attending grad school classes. For most of my life, my mom worked full time, as did all four of my grandparents. My family was also very socially aware and active. My grandfather was involved in party politics in Brooklyn and my dad served on our town council. I remember campaigning for my dad and being by his side at events after he won. My grandparents were also very active in professional associations. We always discussed politics and social issues at the dinner table, in addition to work matters. In short, I learned early on that education was critical, and it was important to work hard and contribute to the community. In my family, women were not exempt from that and the notion that one should stay home to be a good parent was completely foreign to me. There was no division between home and work in our family — my grandparents literally lived above their store, and my parents were always working at our dining room table planning lessons, grading tests and discussing work issues. It is thus no surprise that I not only married another lawyer, work from home a lot and eventually started my own business, but my husband and I also work together in my firm. When I launched my firm three years ago, I knew I needed help in running the firm, and wished I had someone I could completely trust and rely upon to take the leap with me. Then, just as I was opening my doors, one of the most serendipitous things happened: my longtime mentor’s executive assistant reached out and offered to come work with me if I needed/wanted her help. It was literally the BEST news I could have received at the time (can you say “h*ll yeah!”) and it has made a huge difference to have her support in running the administrative aspects of my firm these last three years. I am absolutely certain I would have never made it through without her! You don’t get to be 50, a woman lawyer and a parent of a teenager and middle schooler (who has some special needs) without facing a lot of personal and professional challenges. Of course, the obstacles facing women in the legal profession (and really any business) are well documented and I’d be foolish to think that they didn’t impact my career path as well. However, one of the biggest obstacles I faced was myself. I spent a lot of my career trying to fit into traditional law firms, although at times it felt like I was trying to fit a square peg in a round hole. I had to recognize that, instead, I was really an entrepreneur at heart, and to take a risk and do it. It was something I considered for over 5 years before launching my firm and I am so thankful every day that I finally did it. To me, leadership is a position of responsibility and service. It can’t be about you — it has to be about the organization you lead and the people you serve in and through the organization. Whether that’s your customer in a business or your volunteers/members in non-profit, you have to be empathetic and able to see various points of view. At the same time, you must be fearless. As a leader, you have to make tough decisions and take risks and you can’t be held back by fear. Inspiring others to lead is tricky as not everyone is a natural leader. However, more people are capable of leadership than they or you might think. Therefore, you need to lead by example and coach others when you put them into positions of leadership. I tend to look for opportunities to let people make meaningful contributions that are aligned with their interests and skills sets. I also try to recognize people’s contributions and showcase their efforts. As a leader, you need to share the glory and amplify others’ accomplishments. You also need to think about who will come next — one of the first things I do when I start a leadership position is think of my succession plan and look for others to groom and cultivate to take over for me when my time is done. It’s much more effective to share the limelight than to hog it. I’ve been lucky to receive a ton of help from mentors and supporters throughout my career and even now. For example, in one of my prior firms, I had two male mentors who helped shaped who I am as an attorney. Even today, when faced with a thorny issue with my clients, I think about how they would solve the problem and that gives me a different perspective. I also was very fortunate to have many women in the legal community who were inspirations to me in starting my firm and have been and continue to be sources of advice and counsel with regard to both my firm and Women Owned Law. Since I started my firm, I have to credit my fantastic administrative assistant with keeping our firm running smoothly. And within WOL, I also am super grateful for the work of our Director of Operations, who started with us as a volunteer for six months, until we had the ability to hire her part time. Of course, I am grateful for my husband of almost 30 years who helps me stay sane and, among other things, is my IT department both at home and at the office! Above all, I am grateful for my mom who supports me and our family in innumerable ways. I would never be able to do everything I do if it weren’t for her help. Yes, of course! It’s still a work in progress and changes daily. I try to keep in mind what’s most important to me — overall that’s family, but on any given day my priority may vary based on what’s going on at home and at work. Everything can’t take priority at once, although there are some things that are non-negotiable for me. I am a very involved parent, and it is important to me to attend significant (and even some of the less significant) events in my kid’s lives. I’ve definitely missed a few things here and there and may be on my phone or email more than I’d like, but I think I’ve done a pretty good job prioritizing my kids. The main way I manage is by being an integrator (as opposed to a segregator) — a concept I recently learned from Adam Grant. I run my life the way my family ran theirs, with very little separation between home and work. This has allowed me to be present for just about everything I thought was important in both spheres. I also seek out help both at home and at work. There is no way you can do as much as I do without a lot of help! And be flexible — schedules and needs change over time. Make your life easier by going with the flow (or at least try to — I am still perfecting that one!). One thing I have sacrificed more than I would like is self-care — I don’t work out as much as I should and don’t take as much time for myself as I’d like. That’s still very much a work in progress! Yes and no. Having my own business has made it more challenging in some ways, as the number of roles I have increased and the amount of support I have at work has decreased. On the other hand, there is no one looking over my shoulder and second guessing how I am managing things or spending my time, which has been remarkably freeing. After three years in business, I have figured out the support we need and the systems that work, so I now feel like I can start to take more time for myself — we will see how I do with that going forward! Forget about balance — that isn’t even in the equation for me and I think trying to achieve “balance” just drives people nuts and sets us up for failure. Instead, focus on what is most important to you overall and on a given day, and make decisions based on that. I try to live by a “no regrets” philosophy — when I am not sure what the right decision is, I think about what I will be most likely to regret later. I don’t nail it every time, but it helps. Once you make a decision, move on. No use dwelling on the “should haves”. If you really think you made a mistake, learn from it and do a better job next time. Don’t be swayed by other people’s decisions and opinions — do what works best for you and your family. If you are an integrator, be an integrator. Same if you are a segregator. Get help — lots of it. Help can take all kinds of forms and you shouldn’t be afraid to ask for it. You don’t have to (and can’t!) do everything yourself. Keep things in perspective — even when things are bad, they likely could be a lot worse and are likely to get better. As a related point, try to keep your sense of humor, as it helps in tough times. My family. Second is the work that I have done over the years to help my clients and to make the world a better place, especially for women lawyers. One of my passions throughout my career has been to help other professional women, especially women lawyers. Starting Women Owned Law has been the most ambitious thing I have done in this regard, and I feel that we are starting to see an impact of that work. We are raising the profile of women entrepreneurs in the law and hopefully will be able to help change the diversity conversation in the law as well — mainly to recognize and celebrate the achievements of all women lawyers and to positively impact their career experience, even if they are not practicing in large firms. In my work with WOL, I learned that the experiences of women outside of Big Law and in smaller firms can actually be much worse in terms of harassment and discrimination, and I believe this hasn’t been adequately recognized in the diversity and inclusion conversations in the law. Thus, through WOL we are beginning to partner with other organizations focusing on these kinds of systemic changes, such as Mother’s Esquire and Girl Attorney. We need to make meaningful change for all women lawyers, regardless of their practice setting.